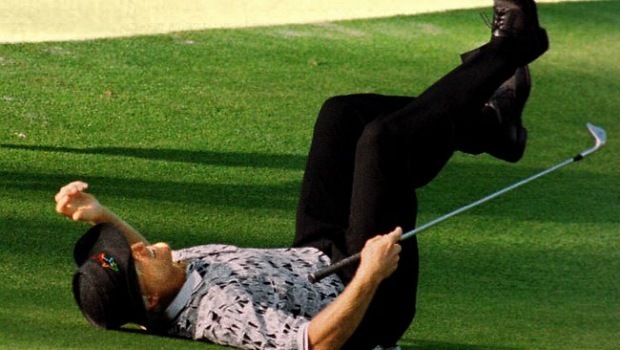 Sports are littered with great comebacks and against-the-odds triumphs, but for every back-from-the-dead win, there’s the opposite story of heartbreak and regret that comes from choking at the worst possible moment and golf is certainly no different. The 2012 Open Championship saw a fine example of this, as Australia’s Adam Scott bogeyed each of the last four holes to miss out on his maiden Major and hand the title to Ernie Els. 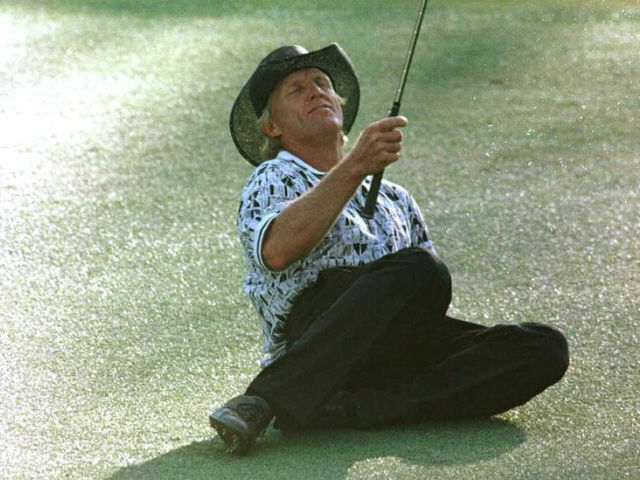 In commemoration of his and so many other fine players' tragic losses, take a look at this countdown of the most memorable meltdowns in golfing history. 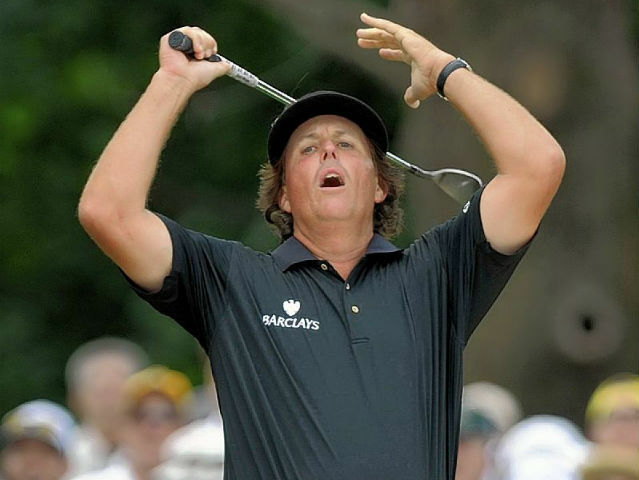 Four-time Major winner Phil Mickelson only needed a par on the final hole to secure the title, but after hitting his tee-shot way left, he attempted to recover the situation rather ambitiously by attacking the green. Needless to say, that went horribly wrong as the popular American’s second shot hit a tree. He went on to make a double-bogey to even miss out on a play-off with the slightly surprised eventual winner, Geoff Ogilvy. ***That's just one of the six times that Mickelson has finished runner-up at the U.S Open, and he's been left one place away from glory at the Open Championship on one occasion as well. 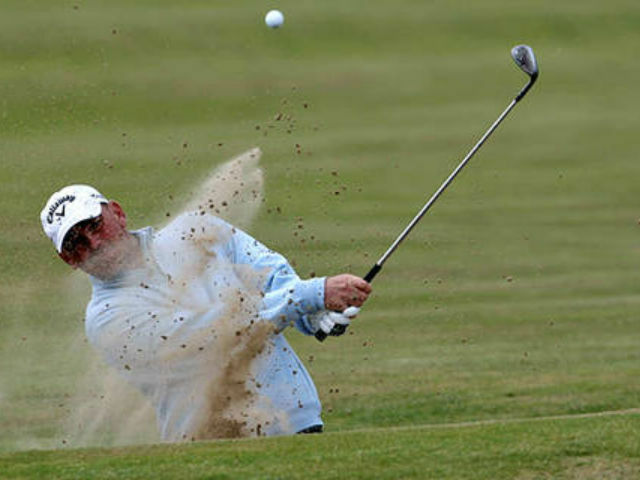 Thomas Bjorn is Denmark’s most successful golfer, having claimed 13 titles on the European Tour. Unfortunately, his legacy will be defined by a late collapse at the 2003 Open Championship, where upon leading by two strokes with three holes to play, he took three attempts to get out of a bunker on 16 for a double-bogey, before dropping another shot on the next hole. He's now secured the dubious honour of having the site of his downfall named in his memory: Bjørn's Bunker. Rory McIlroy’s capitulation wasn’t as late in the day as many in this list, but after playing flawless golf for three days on his way to a four-shot lead, the Northern Irishman went to pieces on the final day, making a triple-bogey and a double-bogey on his way to an eight-over-par round of 80. Thankfully the 26-year-old hasn’t let his early mistakes haunt later championships, and has gone on to secure four Major wins, along with a lucrative Nike deal. Another final day Masters meltdown, this time by an Australian. Greg Norman fell apart over his last round to blow a six-shot lead, allowing Britain’s Nick Faldo to pick up the pieces to land his sixth and final Major. It has to be said that Faldo’s brilliant final round of 67 meant he won it as much as Norman lost it, but the Australian’s final round 78 which included a double-bogey and a disastrous hooked tee-shot into the water on the 16th makes it a Major remembered for all the wrong reasons. Arnold Palmer is one of golf’s legends. Part of the ‘big three’ along with Jack Nicklaus and Gary Player, Palmer won seven Majors and brought the sport to new levels of popularity thanks to his humble attitude and working-class background. Unfortunately that's not all he'll be remembered for though, as he's also famed for a horrendous final day collapse at the 1966 U.S Open. 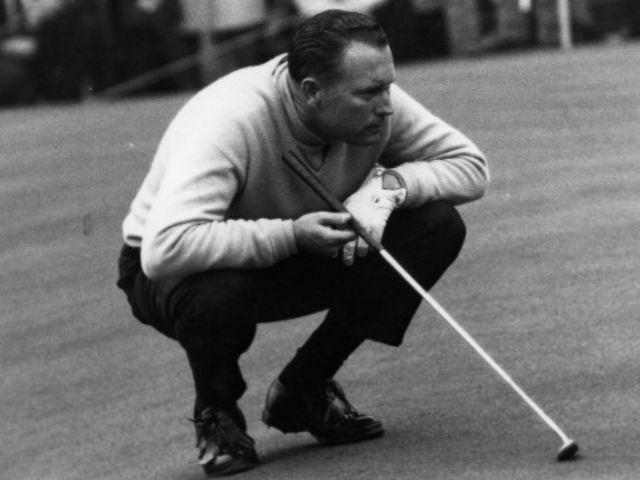 Stunned spectators witnessed him losing a seven-shot lead over the final nine holes, before losing a one-sided 18-hole play-off by four strokes the next day to Billy Casper. 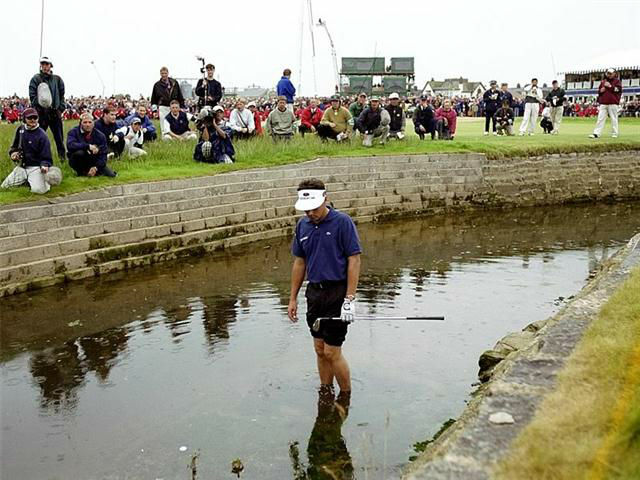 There’s only one place to finish when talking of golf’s major meltdowns, and that is with Jean Van de Velde, standing ankle-deep in water on the 18th hole at Carnoustie. We've seen some spectacular leads blown so far in this countdown, but you'd really think heading into the final hole with a three-shot lead would be an insurmountable advantage. Yet somehow thanks to a combination of rough, the infamous burn and finally a bunker, Van de Velde managed an astonishing triple-bogey, necessitating a final play-off with Paul Lawrie and Justin Leonard. Van de Velde unsurprisingly failed to recover and finished three shots behind Lawrie in the four-hole play-off. Worst of all, it turned out that the frequently heard commentator's phrase, ‘you can start carving his name into the trophy’ had been taken far too literally. The engraver had to scratch through Van de Velde’s name, which had been prematurely engraved as soon as he'd reached the final hole.